How to choose a yacht for a cruise? In order for a cruise on a yacht to become the highlight of your summer, use our convenient yacht selection tool – choose and book the yacht you like the most, which corresponds to your planned number of guests, the planned departure point for the cruise, price and other criteria. Charter a yacht for a sporting and exciting excursion. If you favour comfort and stability on water, you should choose a catamaran. If you are a speed lover, the best choice would be to charter a motor yacht or cutter. The optimal number of passengers not exceeding 70% of the maximum capacity will allow you to enjoy a truly memorable and enjoyable yacht cruise in all its glory. What cruise duration should I choose? You can freely choose the duration of your cruise. For a truly enjoyable leisure experience on the sea coast, we recommend booking a yacht for 3-6 hours. Bring your friends along and plan a delicious picnic on a yacht along the sea coast, in the Lielupe Estuary or beside the White Dune! You will require two full days and nights for long distances cruises to destination such as Ruhnu Isle. What are the yacht cruise times? You can freely choose your preferred yacht charter date, start time and duration in accordance with your plans. You can start your cruise at 9:00 o’clock in the morning or, if your prefer, just before sunset so that you can continue your celebration to full at the First nightclub at the end of your return journey. Can I extend the length of my cruise? You would be better advised to plan an extra hour or two when you initially book the yacht. During the yachting season, the cruise schedule is very busy, therefore it may not be possible to extend your cruise once you are already on board the yacht. What do I have to do to charter a cruise on a yacht? To charter a cruise, choose a yacht from our catalogue, choose a cruise date and the yacht charter duration or a specific route. You should also specify the starting time for the cruise. Using our booking system, fill in the required fields, choose the extra services you require and submit your yacht charter application. Follow the further instructions and make the yacht charter payment as soon as possible in accordance with the invoice that you will be sent automatically sent to your specified e-mail address. We will confirm your yacht charter reservation after receiving a deposit in the amount of 30-50% of the total cruise price. The precise amount of the deposit depends on the chosen yacht and will be specified in the invoice. How quickly should I make the yacht booking deposit? The booking deposit should be made as soon as possible, but no later than on the next day after the application to book the yacht was made. This is necessary to avoid a situation in which another interested client wants to book this same yacht and cruise time. In this case, precedence will be given to the client that has made the booking deposit first. When is the yacht considered to have been booked? The booking of the yacht cruise time and date will be confirmed as soon as the relevant booking payment has been deposited in full into our bank current account. To which requisites should the booking deposit be made? The booking deposit should be transferred to the bank current account specified in the invoice. If the booking application is made by phone, subject to a separate request, we prepare an electronic invoice and supply it to the e-mail. Can I make the booking deposit using a payment card? Unfortunately, at present, the reservation deposit can only be made by bank transfer. Is it possible to book a yacht without making an initial deposit? Applying to charter a yacht without making the relevant booking deposit is merely of an informative nature and will not be binding on us. In the event that another applicant applies to charter this yacht at the same time, we will give precedence to the client that has made the booking deposit. The yacht charter price depends on the chosen yacht, catamaran, motor yacht or cutter.  The average hourly price starts from €45 for a sailing yacht. The most popular yacht charter length is 3-5 hours. You can calculate the precise yacht cruise price in the yacht browser. Is the specified yacht price per person? All specified prices are for the full duration of the cruise, regardless of the number of passengers. Some yachts have a separate surcharge for each passenger above a set number. When and how is the remaining yacht charter payment to be made? Unless we have reached another agreement beforehand, the remaining charge for the cruise shall be paid in cash on the yacht before departure from the jetty. Unfortunately, it will not be possible to pay using a payment card on the yacht. Are the skipper’s services included in the yacht charter price? Most of our yachts are rented out under the pilotage of a competent skipper whose services are included in the charter price. If you have enjoyed the cruise and the skipper’s hospitality and professionalism, tradition and good form suggest that you should recognise the skipper’s work by leaving him a “tip”, in an amount that the guests deem to be appropriate. Are fuel costs included in the cruise price? Fuel costs are usually included in the specified cruise price. There are separate yachts on which the fuel actually consumed during the cruise must be separately paid for. This information is specified in the description of the yacht. What footwear am I not allowed to wear on a yacht? You will not be allowed to board a yacht wearing dark soled street shoes or shoes, which leave streaks on the white deck of the yacht. This rule also applies to ladies’ high-heeled shoes. What footwear am I allowed to wear on a yacht? Before setting off on your yacht cruise, make sure you bring comfortable lightweight sports shoes with you that have light flat soles. What clothing should I wear on a yacht cruise? There are no unsuitable weather conditions, there is only unsuitable clothing. Especially on the sea coast, the temperature on water is often cooler than that on dry land. Therefore, you should definitely bring a warmer layer of clothing with you, as well as a lightweight windbreaker. It will be useful if it rains and will protect you from spray. This advice is particularly relevant in early summer and during the autumn. If the passengers are feeling warm and cheerful, then the cruise is sure to be a success! In sunny and bright weather, you should bring a peaked cap and sunglasses with you. Can I buy a gift card for a yacht cruise? Yes, you can buy a stylishly designed yacht cruise gift card. This will be an original and valuable celebratory gift for your loved ones and friends. We will prepare the gift card and send it to you electronically together with information about the procedure for using it. The most popular gift card option among our clients is a cruise on the sailing yacht “Turaida”. How can I pay for my gift card? You can pay for your gift card by making a 100% pre-payment via bank transfer. How and when will I receive my gift card? We will send you your yacht cruise gift card electronically within 24 hours of receiving payment. Visually, the gift card has a high quality design that can be easily printed out on a colour or black and white printer. What is the gift card’s term of validity? The gift card’s term of validity is specified on the card. Usually, you should use your gift card by the close of the season on 30 September. Where will my yacht cruise start and end? Typically, we start and end yacht cruises at the jetty where the yacht is based. You will find more precise information in the description of your chosen yacht. However, if you wish, for an additional charge and by making a timely prior booking, you can arrange for your guests to board or disembark from the yacht at other jetties suitable for the yacht. What are the possible yacht cruise routes? The route is dependent on the length of time for which have chartered the yacht and on the yacht’s departure point. The Lielupe can be navigated on a sailing yacht from its estuary to the railway bridge, while the Daugava can be sailed from its estuary to its Vanšu Bridge. If you charter a motor yacht or cutter, we can also sail further, as well as visit Lake Ķīšezers and both Baltezers lakes. If the length of time you have allocated for your cruise and weather conditions allow, we can head into the Gulf of Riga and spend most of the cruise there. If you decide to embark on a long distance cruise, you also have the option of visiting other Latvian coastal ports including Engure, Mersrags, Roja, Skulte, Salacgriva or Kuivizi. Other interesting destinations are the Estonian islands of Ruhnu Isle, Saaremaa and Kihnu Isle. If time allows, we can plan a cruise to Gotland or the Aland Islands and archipelago. Find out about routes, by visiting the homepage section Routes. Can we board or disembark from the yacht on the beach? By separate and prior arrangement, we can pick up or drop off passengers on the beach. For example, in Jurmala, we can do this by the popular “36. Line” restaurant. However, since no self-respecting yacht can approach the shore itself, we will arrange a special motor boat which will transport guests from the seashore to the shore and from the shore to the yacht. Please note, however, that for technical and safety reasons, this operation can only be carried out in calm weather conditions. How early should I arrive at the yacht jetty? You should arrive at the yacht jetty 10-15 minutes before the start time of your planned cruise. Please inform your fellow passengers about this requirement. Can I park my car next to the yacht jetty? You can park your car next to all jetties where our yachts are based. Parking spaces are mostly free of charge. However, there is paid parking at Andrejosta where parking your car can turn out to be more difficult, because of the small size of the car park. How many people can embark on a yacht cruise? The maximum number of passengers for each yacht is set individually and is specified in the yacht’s description. On a single cruise, our biggest sailing yachts can accommodate from 30 to 50 people. In order for every passenger to feel as comfortable as possible on board the yacht, we recommend planning passenger numbers equal to 70% of yacht’s capacity. What should I do if there is a large group of us and we have to get to a specific place? How many passengers can board the yacht at any one time? The maximum number of guests that we accommodate on the deck of a yacht at any one time ranges from 30 to 50 people. If there are more passengers than this, we will divide up the guests among several yachts. For larger groups, we can arrange a regatta in which we divide up passengers among several yachts and organise an exciting competition for them during which the passengers will have the chance to pilot the yacht themselves and operate the sails! Is it possible to organise a yacht regatta (competition)? A regatta is one of the most attractive ways of organising a cruise for a larger group of passengers. We will divide the passengers up among several yachts and organise an exciting competition for them in which the passengers will be able to operate the sails themselves and pilot the yacht under the watchful eye of an experienced skipper! Can the yacht accommodate more passengers than the number specified in the yacht’s description? The maximum number of passengers on yacht is determined by the yacht manufacturer, in accordance with shipping area and equipment category registered for the yacht. On many yachts, this data is posted in a clearly visible place. It is also known by the water police who can impose a penalty or even suspend the cruise. In individual instances, exceptions are possible, depending on the duration of the cruise. Can I bring my kids on board a yacht? You can bring your kids with you on a cruise on condition that each child is accompanied by at least one adult who keeps constant watch of them. Throughout the cruise, it is compulsory for children up to 12 years of age to wear a suitable safety vest. During the cruise, the same rules that apply to adults also apply to kids. Are children included in the set number of passengers on board a yacht? Children are members of society just like adults and are included in the total number of persons. Are safety vests available on board the yacht? All our yacht have safety vest available in the quantity stipulated under legislation. Each and every passenger can ask the yacht skipper for a safety vest at any time. It is compulsory for children up to 12 years of age to wear a safety vest throughout the cruise. A mandatory element of a yacht’s construction is a heavy lead or cast iron keel, which functions as a counterweight and prevents the yacht from capsizing in strong winds and waves. Depending on the strength of the wind, a yacht could list slightly, but it will not capsize. In rougher conditions, a motor yacht is not as stable as a sailing yacht. Therefore, in all probability, the skipper of a motor yacht will offer to change the cruise route to avoid critical conditions at sea. When it comes to catamarans, they are protected against capsizing by their stable twin hull construction. What snacks and drinks are banned on a yacht? It is prohibited to bring and chocolate and chocolate-based products on board a yacht, as well as red wine, dark red berries such as blueberries, blackberries, cherries, gooseberries, etc. and juices made from such berries. It is also prohibited to bring on board very fatty and rich foods such as smoked chicken or smoked fish. Can I bring my own snacks on board the yacht? To make your cruise as simple and carefree as possible, we recommend allowing us to take care of providing you with snacks. Choose any of our three sets of snacks and we will take care of all the rest. However, if you do wish to bring your own snacks on board the yacht, please arrange this with us beforehand. What snacks do you suggest that we should bring with us on board the yacht? In the fresh air, and especially on a yacht, you will develop a healthy appetite. Among the items that are suitable for consumption on board the yacht are fruit that has been washed and conveniently prepared beforehand, selections of snacks including cheese, sausage, assorted ham, sandwiches and similar snacks. If you plan to enjoy a meal on deck, it is good form to invite the yacht’s skipper to join you. Should we bring our own dishes with us? If you are planning to enjoy some snacks during your cruise, you should definitely bring some disposable plates and cutlery with you. If you order our selection of snacks, we will include cutlery and dishes in the package free of charge. Even though all yachts have the odd cup, plates and cutlery for the crew, we cannot guarantee that they will suffice for all the passengers. Please note that the use of glasses made from glass and other fragile materials is not allowed on board the yacht. Is the use of alcoholic drinks allowed on board the yacht? We do not recommend being intoxicated on the water, but we do not object to guests enjoying a glass of white wine or champagne to get them in just the right mood to enjoy their on board the yacht. Excessive use of alcoholic drinks on board a yacht may not endanger you, but also your fellow passengers. The skipper of the yacht is entitled to suspend the cruise immediately if any of guests is so intoxicated that they pose a threat to the safety of the cruise. Is there a fridge on board the yacht? Bigger yachts are usually fitted with a small fridge and freezer. Smaller yachts do not have fridges, because everything on board is devoted to the magic of the wind, sails and waves. Bring an ice box with you where you can keep your white wine, beer and champagne cool. Are a toilet and shower available on the yacht? There are working toilets on all our yachts throughout the duration of your cruise. On long distance sea cruises on our biggest yachts, you can also take a shower. Can I charge my smartphone or tablet on board a yacht? If you wish to charge smart devices on board a yacht, please bring a car charger with you that is suitable for your device. Just like cars, yachts have a 12V power system. A 220V network is available on higher class yachts. Does the yacht haven an audio system for listening to music? Every yacht has an older or newer audio system for playing music on CDs or from a USB (flash). Please read the yacht’s description for information about the format in which you should bring your music with you. Can I dive into the water from a yacht and go swimming? By prior arrangement with the yacht’s skipper, you can enjoy the thrills of the water including both diving and swimming. However, before you start swimming, the yacht will have to reduce its speed and release a lifebuoy attached to a rope as an additional safety measure. You can combine your swim with a stop at anchor or, if you prefer, adjoining a beautiful spot on shore. Is it possible to fish on board a yacht? Yes, provided that you inform the yacht’s skipper of your plans in advance and comply with the regulations regarding fishing, feel free to catch as many fish as you like. However, it is quite rare to see people on board a yacht in Latvia, because passengers are usually busy sipping a glass of wine while enjoying the wind, sun and waves in the company of their friends! Can I charter a yacht without a skipper? We offer individual yachts, which we rent out without a skipper. In such instances, at least one of the passengers must possess a valid yacht pilot’s qualification in the relevant category and a document confirming this. How can I avoid sea sickness? On coastal cruises, the possibility of sea sickness (kinetosis) is minimal. However, to prevent sea sickness, before the cruise we recommend that you should buy some ginger-based tablets at a pharmacy and take them one hour before venture out onto the water. You should also have something to eat beforehand, but not to excess! Where will I spend my time on board the yacht during the cruise? Subject to elementary caution, you can enjoy the cruise in any convenient place on the deck or in the saloon. The most comfortable places are the yacht’s cockpit which has seating for 4-8 people and the front of the yacht. When moving about on deck, particularly in windy conditions when the water is choppy, you must keep hold of yacht’s fixed rigging elements. In rainy weather, you should make yourself comfortable in the yacht’s saloon. Can I bring pets with me aboard the yacht? When animals, including dogs and cats, find themselves in unfamiliar conditions, it is stressful experience for them, especially on water. This is disturbing for animals and their behaviour can become unpredictable and even dangerous for passengers. For these reasons, we do not allow animals on board our yachts.